TU Faculty of Humanities and Social Sciences has published exam routine for M.A. First Semester 2075 (regular and partial). According to notice from Tribhuvan University, the first-semester exam begins on 2075 Bhadra 17. Check TU M.A. 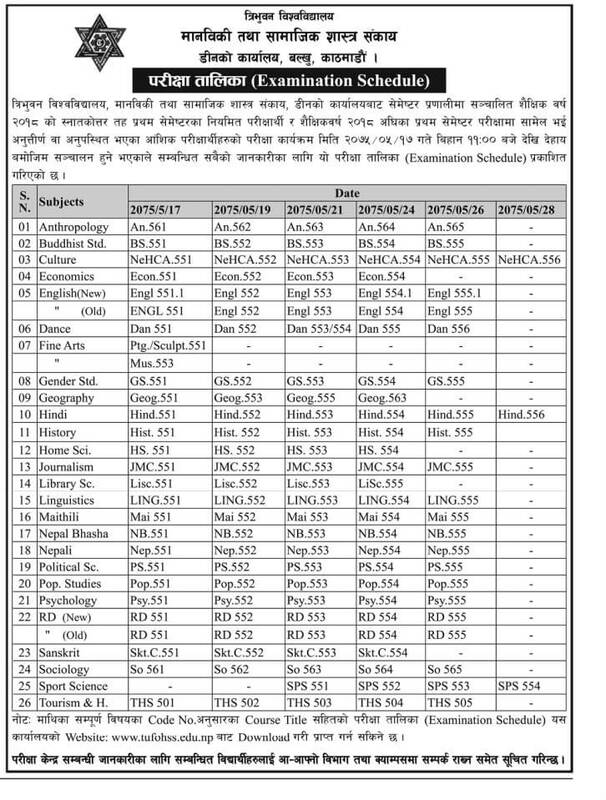 First Semester Exam Routine 2075 on details below.